Young Men’s Self-Sufficiency Program makes a difference. 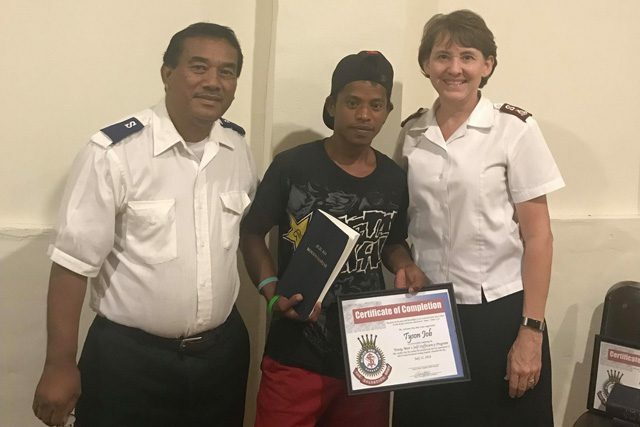 A new Salvation Army program in the Marshall Islands is making a difference in the lives of young men, their families and the community. Launched in October 2017, the Young Men’s Self-Sufficiency Program aims to rehabilitate young men struggling with addiction. A $40,000 government grant made the program possible. 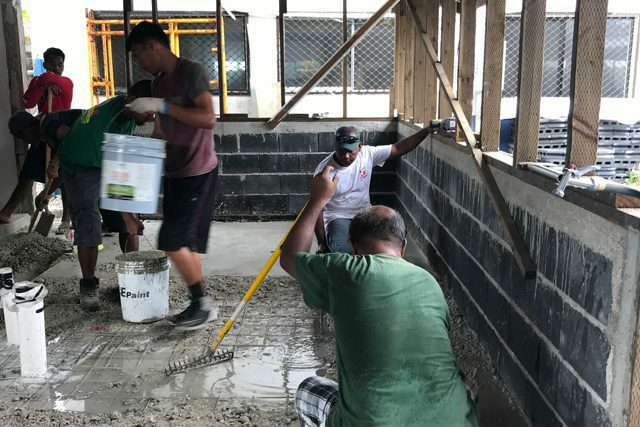 The Rita Corps in Majuro hosts the program, which accepts about six students per session. So far, two 16-week sessions have taken place. The students are typically men between the ages of 18–25 who are experiencing homelessness and misusing alcohol and/or drugs. During their time in the session, they experience a holistic program of academic and practical instruction. Tyson Job, a graduate of the second session, said the program impacted all aspects of his life. Students receive life skills training and work through the Celebrate Recovery curriculum. In the computer lab, instructors and mentors teach job readiness skills. Participants develop vocational abilities as well, working with a professional carpenter and a mechanic/electrician. They also perform basic auto repairs and maintenance. Each graduate receives a set of tools valued at $400, a framed certificate of completion, and a new Bible. And they have a new outlook on life. 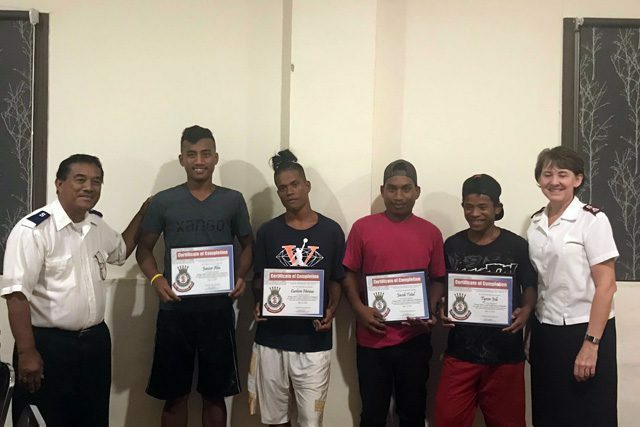 “I was very encouraged by the leaders of the program and the advice they consistently gave on how I can become a better brother, father and person,” said Aiwij Jormelu, a graduate of the first session. Rita Corps Officer Captain Mioshi Anwot noted that the program does more than teach vocational skills. “The main focus is to ignite God’s love to them,” he said. Anwot hears from community members that since the program started, residents are calmer and sleeping better. One young man’s mother, impressed with the program’s results, thanked The Salvation Army. 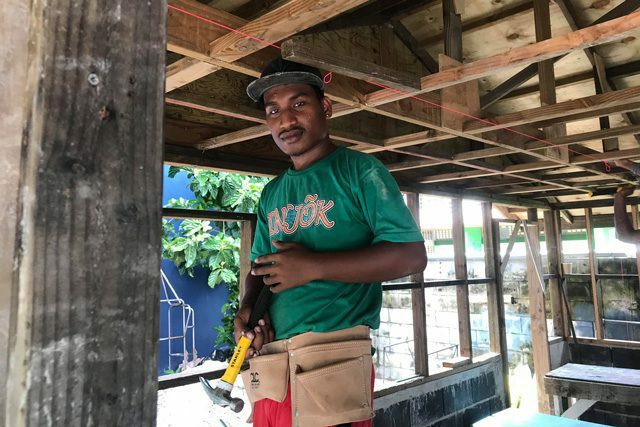 Anwot said requests are coming in from other islands that would like to send their high-risk young men to the program. The Salvation Army is looking for accommodations for four–six students from these locations. Ball is excited about the Young Men’s Self-Sufficiency Program, and confident that The Salvation Army will continue to receive funding. “[This is] a program that we hope will continue to help many other young men who are experiencing similar life struggles,” Ball said. Majuro is the capital and largest city of the Republic of the Marshall Islands, with a population of about 27,000 people.